When Kevin Ozoria was behind the wheel of the vehicle that killed a 39-year-old man in New York City, he fled. The 29-year-old Brooklyn man was driving a 2010 Honda Accord in December 2016 when he struck and killed Jean Paul Guerrero, who is known as DJ Jinx Paul for the Spanish-language radio station La Mega 97.9.Ozoria didn’t surrender to police until five days later, and wasn’t formally arrested until the following November. Ozoria faced up to seven years in prison for the felony charge of leaving the scene of an accident that resulted in a death, according to New York state law. He was also hit with tampering charges for taking his damaged sedan to an auto body shop for repair, officials said. Instead, in a few weeks, Ozoria is expected to be sentenced to five years of probation after admitting for his role in Guerrero’s death.He is expected to avoid jail time. Ozoria is not alone in avoiding lengthy – or any – prison time. Between 2006 and 2017, the national number for annual fatal hit-and-runs has ranged between 1,220 and 2,089, according to American Automobile Association’s (AAA) 2018 Hit-and-Run Crashes Research Brief and the National Highway Traffic Safety Administration (NHTSA). But, sources in government and the legal community told ABC News that people charged with fatal traffic offenses are regularly offered plea deals that allow them to avoid significant jail time. “There is nothing more frustrating than a plea deal, and you hear it all the time,” said J.T. Griffin, the chief government affairs officer of Mother’s Against Drunk Driving (MADD), speaking to ABC News about hit-and-runs. Brooklyn prosecutors made their first offer to Ozoria during a pre-trial appearance in April — to plead guilty to the top charge of the two-count indictment in exchange for one-and-a-third to four years in prison. He turned it down. Then, earlier this month, they presented him with the current deal. In addition to no time behind bars, he is expected to abide by various court-ordered conditions, including five years of probation and completing 100 hours of community service. If Ozoria violates any terms of the plea, he could be re-sentenced to the maximum term. A law enforcement source familiar with Ozoria’s case told ABC News that there were weaknesses in the case, preventing prosecutors from taking it all the way to trial. Ozoria’s lawyer, Jeffrey Schwartz, did not immediately respond to ABC News’ request for comment. In New York, State Senator Patrick M. Gallivan is trying to close the loophole that allows for these seemingly soft sentences. “I don’t like the plea bargains, but it’s a reality that the system is not perfect,” he told ABC News. He is sponsoring a bill in the New York Senate that would strengthen the punishment for hit-and-run offenses. “Many of the courts have huge caseloads, which [lead] to plea bargains,” he said. “Sometimes prosecutors may offer pleas because they cannot prove the case beyond a reasonable doubt. “It’s better to have some measure of accountability than nothing at all,” he added. Thomka, a former DWI bureau chief for the Onondaga County District Attorney’s Office in New York, told ABC News that before prosecutors offer a plea bargain, they look at all the facts and circumstances before offering a disposition that is less than the maximum penalty. Ultimately, it’s up to the judge to accept the recommendation and accept the offer before presenting it to the defendant. Not everyone believes that involvement in a traffic fatality should carry a mandatory minimum punishment, and cases are often at the mercy of different political pressures. “We are all, ultimately, one decision away from killing someone,” said Damien M. Brown, a New York-based criminal defense attorney who has defended fatal hit-and-run drivers. Brown said in one case he defended, the victim was a homeless man who was hit by his client, an alleged drunk driver. Even the passenger in the car was expected to testify against the alleged intoxicated driver, Brown said. But the client pleaded guilty and was entered into a court-ordered treatment program. He will serve probation and get no jail time, Brown said. Currently, a different client of Brown is facing prison time for a 2015 vehicular-related death, even though it was not a hit-and-run. His client is expected in court on Monday. “Sometimes, it can just be an accident that happened, but with political pressure against the district attorney and/or the affluence of the victim’s family can result in a different outcome for a driver,” said Brown.In 48 states, penalties related to leaving the scene of an accident that results in serious injury or death of one or more people can vary widely – from jail time to just community service, according to AAA’s 2018 State-By-State Review of hit-and-run laws. In California, the maximum sentence for a hit-and-run fatality is up to four years behind bars, according to the state’s Vehicle Code 20001(a). Alleged California offenders like George Espinosa and Homer Watford, received different punishments for hit-and-run offenses. Espinosa, 48, was sentenced to three years in prison for the July hit-and-run death of 17-year-old jogger Leilani Magno, according to the San Diego Tribune. Watford pleaded no contest to the 2017 hit-and-run death of 5-year-old Ronald Neal III, who happened to be his friend’s son, and a judge sentenced him to a year in jail that was credited as time served, according to the Los Angeles district attorney’s office. While Watford’s agreement with prosecutors allows him to avoid admitting his guilt, he apologized to Neal’s family before turning himself in to police, ABC affiliate KABC reported. California lawmakers have proposed a bill to strengthen the state’s hit-and-run penalties. The bill is called “Gavin’s Law,” after a beloved high school vice principal, Gavin Gladding, who was killed while riding his bicycle in September, allegedly by an 18-year-old motorist who police say fled the scene. Nationwide, there were 2,082 deaths related to traffic fatalities as the result of a hit-and-run driver, according to 2016 data by NHTSA. The report shows that Alaska and Washington, D.C., do not have a “specific statue” for fatal hit-and-runs; however, in 2016, 10 people — four in Alaska and six in Washington — were killed by an alleged reckless driver. Those fatalities included 337 in California, 206 in Florida and 233 in Texas, according to AAA’s Hit-and-Run Crashes Research Brief. Preliminary, 2017 hit-and-run fatality statistics from the NHTSA show that the number of deaths decreased to 1,978, according to Jeanette Casselano, the director of external communications with AAA, which analyzes NHTSA data. Statistics gathered by government agencies on how many alleged fatal hit-and-run drivers were apprehended or convicted for these fatalities are “known to be under-reported,” said Casselano. When asked for fatal hit-and-run conviction statistics, a spokeswoman from the California attorney general’s office referred ABC News to the 57 individual county prosecutors’ offices for data. The Florida Department of Law Enforcement has not returned a request for the information. However, this year, the Texas Department of Public Safety compiled a detailed report that revealed 104 arrests were made in 2016 for the violation of Penal Code 550.021(c)(1)(A), leaving the scene of an accident resulting in a death — the highest numbers of hit-and-run arrests on record between 2013 and 2017, according to the report.The report showed that there were 68 hit-and-run convictions in 2016, but does not detail if some of those convictions were from cases that lingered from previous years, or whether the offender went to trial or took a plea bargain. It also does not detail if the offender served any prison time. In Texas, leaving the scene of a fatal accident is a third-degree felony, and a defendant could face up to five years in jail and/or a $5,000 fine, according to AAA. 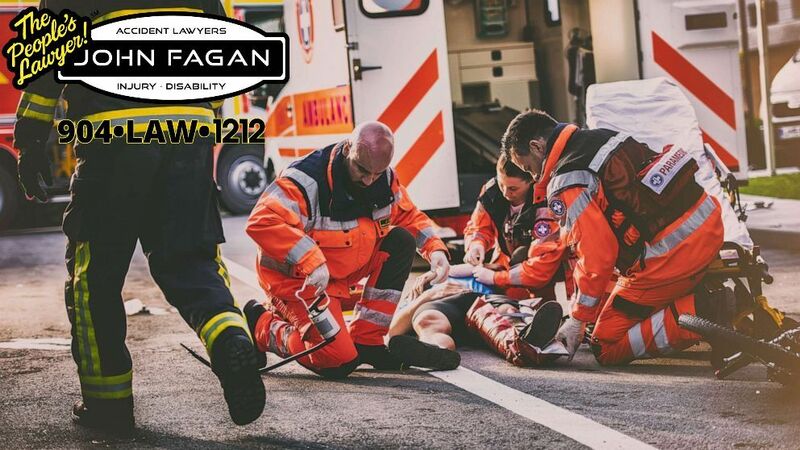 In New York, Gallivan sponsored his bill in 2017, (S6884), which aims to not only strengthen the penalties for hit-and-run fatalities involving drunk and sober drivers, but also add an alert system to get the public involved with stopping hit-and-runs. Alert systems were introduced in the U.S. in 2014 by Colorado lawmakers with the Medina Alert system, which works like an Amber Alert. The Medina Alert was inspired by the 2011 hit-and-run death of Jose Medina, whose killer was arrested after a witness saw the incident, followed the driver and turned over the information to the police, according to the Colorado Bureau of Investigation (CBI) Department of Public Safety. From 2016 to 2019, 17 Medina Alerts have been reported and three arrests were made, according to Susan Medina, who is not related to Jose Medina, the communications director for CBI. In 2015, Los Angeles introduced its own alert system for hit-and-runs. “We still need to continue on this issue of people who leave the scene of an accident and hurt or kill people,” said Gallivan about his New York bill, which has “languished” with the state’s Senate Finance committee since January 2018. “We are not giving up on this,” Griffin said.